Five warnings are given in Hebrews that are progressively stronger and more personal. They remind believers to continue trusting in Jesus, His reconciliation through His death on the cross, and in our Chief Shepherd Jesus in the face of adversity and uncertainty in this life. This letter ends with a blessing—often called a benediction—an encouragement to continue in faith, and a personal farewell. The encouragement and benediction summarize the essence of the message of this book. I urge you, brothers and sisters, to listen patiently to my encouraging words. I have written you a short letter. You know that Timothy, our brother, has been freed. If he comes here soon, both of us will visit you. What are the truths expressed in the blessing at the end of Hebrews? 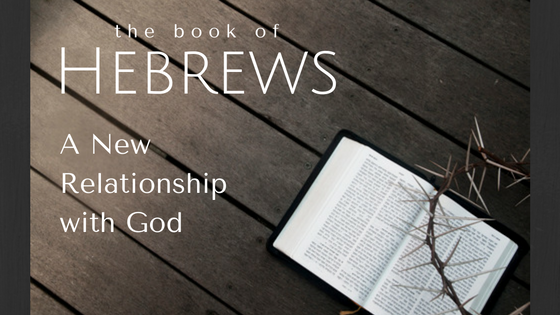 How is this blessing a summary of the important truths in the book of Hebrews? How does it speak of and describe Jesus? How is it connected to the further encouragement given after the blessing? How are the important truths expressed in this blessing relevant for believers in our time? The beginning of the book of Hebrews declares how God personally spoke to His people Israel. He first spoke indirectly through prophets, but in later times God spoke in person through His Son Jesus Christ. Jesus is "the exact representation" of God—the personal appearance of God on earth in human form. As a man with the nature of God, He went to the cross to die as a means of reconciling all humanity from the power and consequence of sin. After His resurrection from the dead, Jesus returned to His place in heaven at the right hand of the Father (Heb 1:2-3). Here, Jesus is described as the great Shepherd resurrected from the dead, reminding of the very personal leadership the Lord provides to all who choose to follow Him. The final expression of blessing is a reminder of the individual responsibility of every believer to continue following the Lord Jesus in faith. His presence and power at work in us enables us to be faithful to Him in whatever way He calls us to serve Him, as a testimony of God's goodness. What are the indicators in the final greetings that the apostle Paul wrote Hebrews? What is most encouraging to you in these last verses and why? What truth in the book of Hebrews stands out to you as most significant and important? How has reading and studying through Hebrews strengthened you in your faith?